Reading - You made it here. You must like books! You may not know it but on Facebook, at this very moment, there’s an event taking place called Fantasy in July. You are cordially invited to join the event where many fantasy writers are talking about their work, offering their work even at discounts and the occasional announcement for new works coming out soon pass by as well. You might find a mention of “The Source of Lightning“, an epic steampunk adventure by Donna K. Fitch, for instance. Or there’s Katherine Lee Pierret Perkins’ “Dawn of Steam” (indeed, more steampunk). But there is also proper fantasy, like “Servant of the Gods” by Valerie Douglas (a gorgeous book if I say so myself). 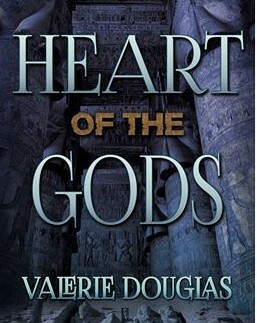 If you like fantasy and Egypt, then “Heart of the Gods” would be a good choice. So if you feel like indulging in something special then don’t hesitate and come have a look! Author PaulPosted on July 14, 2015 July 11, 2015 Categories APG, Bits and bobs, Indie promotion, Reading, Self-PublishingTags books, fantasy, indie promotionLeave a comment on July is Fantasy-month! Libriomancer is a great book. Note that this is my opinion. It introduces a fabulous and (to me) new way to use magic, and it deals with (how surprising) books and people who do wonderful stuff with them. And people who do less than wonderful stuff too. Books, vampires, dryads and automatons, anyone? 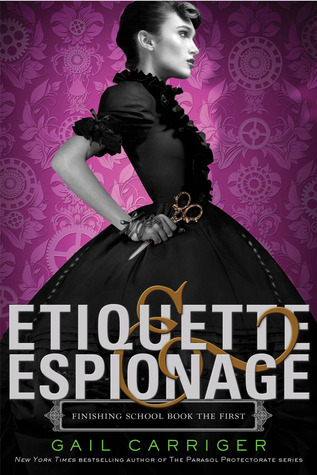 As usual with Gail Carriger’s books this was a delight to read. The choice of words in which she manages to describe situations and people are wonderful; I always walk among the happenings and the characters. Sophronia’s life is taking an interesting turn when she enrolls in a Finishing School. Before I read this book it had already become clear what kind of school it was but that didn’t make the joy of reading this book any less. I’m going to save up for an airdinghie. No, I don’t consider you a device but this is mainly directed to people who, like I do, like to read on an electronic device. An e-reader for electronic book-readers. I have acquired a new one. It’s the Onyx Boox T68 Lynx. My old Sony PRS-350 is getting a bit dated, the screen’s getting a bit blotchy (travel abuse, sorry screen) and since Sony stopped making e-readers I was on the look-out for other options. They are plentiful. There ‘s the Kindle paperwhite and the Kobo Aura HD, for instance. In places I am sure I can still get a B&N Nook Glow which also is a nice device. Still I decided on the Onyx. My main reason for that is that it’s an Android device. This has the benefit that I can install my favourite reading app (Moon Reader+) on it. Moon Reader+ syncs where I left off reading via Dropbox so regardless of (Android) device I pick up, I can read on where I stopped the last time. I chose an e-ink device because it’s the primary device for reading when I go on vacation, and reading outside is a must then (weather permitting). Outside, E-ink beats any LED or OLED screen with ease as far as I know, although the new Samsung Nook seems to do a good job too. I have a regular Android tablet on which I read at home, but outside it’s hopeless. I’ve tried. The Onyx has a built-in light so reading inside is no problem either. I’m impressed by the clarity of the screen and the time a charged battery lasts. After about a week it went from 100% to 80%. This is not the first time I read this book. The first time is many years ago and when I read it back then I didn’t grok the entire depth of it. This is an amazing read from start to finish, partly seeing our world through the eyes of someone from another planet, partly seeing how we the people are wrapped into things. The explanations of Jubal, who’s a wonderful character in the book, excel in clarity for me. Definitely worth the re-read. A real book. Is it what you hold in your hands? Many a question’s being asked about what is a book. A real book. I think that’s a valid question, and also something that only can be answered from the right point of view. A book always used to be something made of paper, with a cover around it, and words inside that smell of ink. The digital revolution bestowed the e-book upon us, with a cover around it that looks like a little machine (e.g. e-reader, tablet or even a smartphone), and the smell of ink is absent for now (but wait for it, technology will catch up on that!). So what is a book? Is it the medium that carries the story, the paper, the ink, the weight that comes with it? Or is it the story that’s conveyed, regardless of the medium it’s read from? Do you read a book or do you read a story? I think it’s fair to say that both options are true and real, and books are books, be they paper or e. As for the weight that comes with a book… e-readers have weight too and that can be a blessing for people who have problems holding up the big paper tomes. There will always be paper books. There will always be e-books. And that’s the grand thing. Stories appear on both media, so you can take your pick. There is no absolute in what’s the best. The absolute could be your personal preference, and that’s not even a fixed point because there are people who appreciate a heavy, smelly book when they’re at home, but who take their e-reading device along when they travel (for instance when they don’t want to risk damaging the paper version). Author PaulPosted on May 19, 2014 May 6, 2014 Categories ebooks, Paper books, Reading, WritingTags books, readingLeave a comment on A real book. Is it what you hold in your hands? It’s happening again. Over at Smashwords the ‘read an e-book week’ promotion is off again, and I am participating. If you felt reluctant to read some of my titles, here’s your chance to get one or more of them with a 50% discount. The books that are up for that this week are Green Haven, The Story of the Mimosa, Charisma the young witch, Bactine, and The Devil’s Diary. Just enter the coupon code “REW50” as you check out and the discount is applied. Note that this is a Smashwords-only promotion, it won’t work for Barnes&Noble, Amazon, Apple iTunes or the other usual suspects. Smashwords offers e-books for any platform you can think of. Epub for Sony, Nook and Apple-devices, MOBI for Amazon Kindle devices and apps, and more.